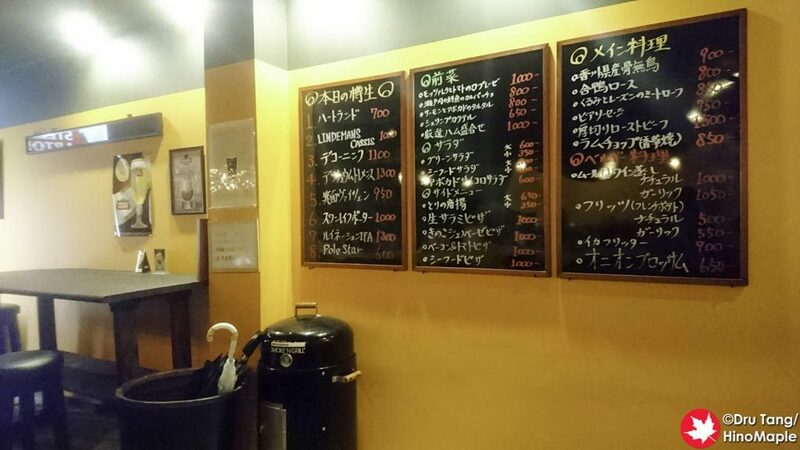 Maison de Biere is probably the best place to get craft beer in Takamatsu. 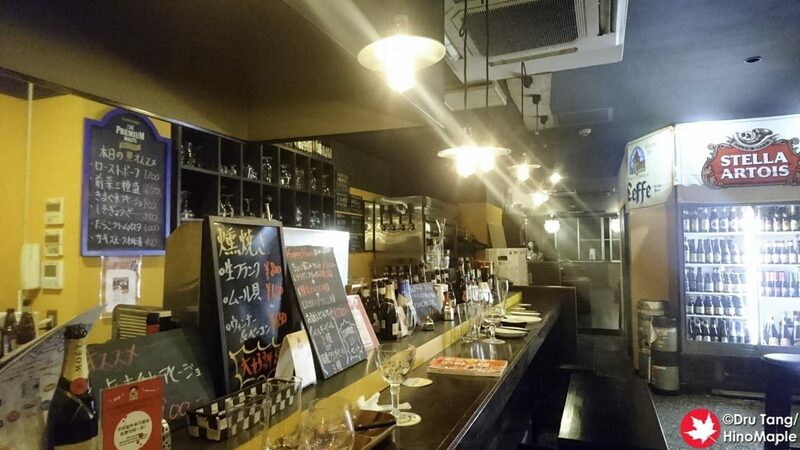 As of 2016, there are only 2 places where you can get craft beer in Takamatsu and Maison de Biere is the best one. The other place where you can get craft beer is at the Craic. The Craic is a good place but the atmosphere is completely different and you really have to choose which one works best for you. Maison de Biere seems like a Belgian beer hall but that is farther from the truth. They do eschew towards European beers but they have a good selection of beers with a few beers on tap from Japan as well. Japanese craft beers are really hard to find in Takamatsu but they can be found if you know where to look. Thankfully Maison de Biere has a couple on tap, but the owner tends to like European styles more. The fun part about the beers at Maison de Biere is that there is also a cooler full of beer. It is a fun to look at the beers in the cooler as well as to get a greater variety of beer compared to the tap list. The tap list is a wonderful collection of beers with different tastes, but if you run out of styles you like, the fridge is also available. Just beware, the fridge is a look and don’t touch system. Just ask the owner for the beer you want and he’ll get it. I was yelled at, politely, for trying to grab a beer for him after watching another guy do it. I was really embarrassed but I was forgiven. The interior of the shop is pretty basic. There are 2 sections with the bar area being the most fun. The owner is the only person in the shop, although there may be other people from time to time but I only saw the owner. The bar has room for about 12 people with another smaller table on the side. There is also a large room in the back with ample seating as well. 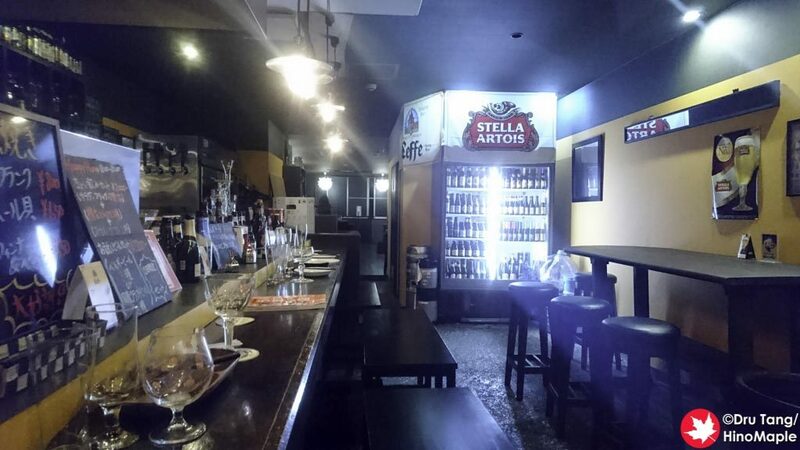 I was surprised at how big the bar was but worried as the bar was pretty quiet both times I visited. The owner is a real interesting character as well. I eavesdropped a little on some of his conversations and I learned that he spent a lot of time in Australia. He rides a motorcycle and even rode a dirt bike up Ayers rock in the past. He’s very knowledgeable in beer and has a lot of good suggestions, although he sometimes plays it safe. He is approachable but tends to be really busy at times when customers come in. This is especially true if people order food. From what I can smell, the food was really good too. 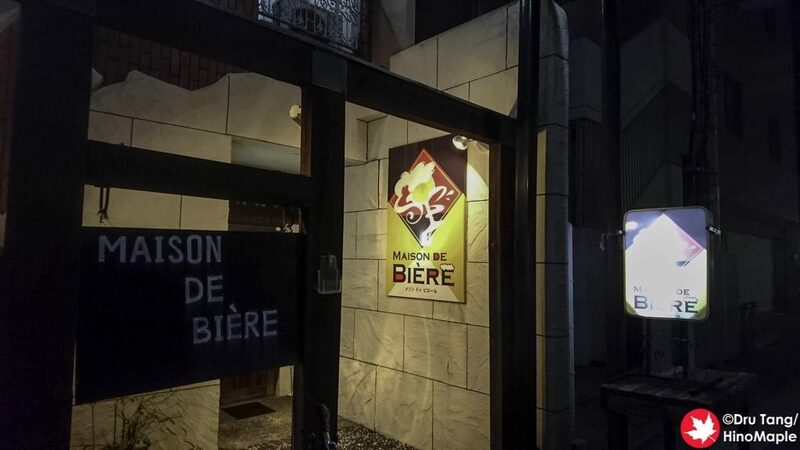 Maison de Biere is a great place and I will be back again when I visit Takamatsu. I really enjoyed the place and it isn’t too loud so you can enjoy a conversation with a good friend. The Craic can be a bit boisterous at times making it hard to talk to others but Maison de Biere is often a nice quiet place. You just have to be careful as there may be ears listening to what you have to say. 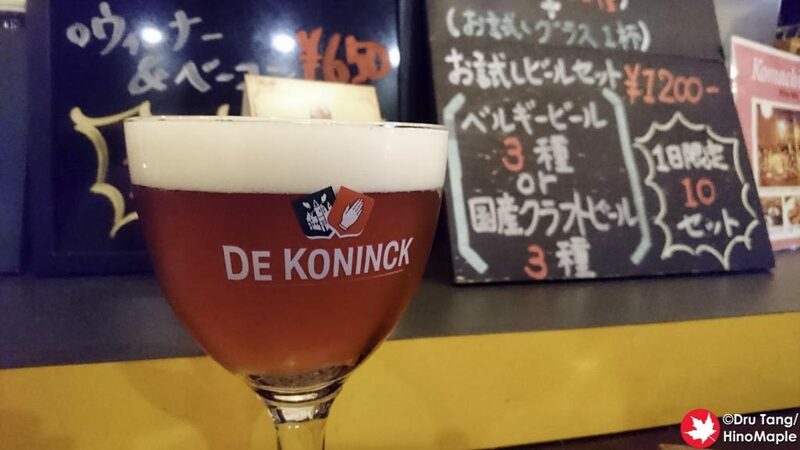 This entry was posted in Shikoku Food and tagged Bar, craft beer, japan, Kagawa, Maison de Biere, Takamatsu by Dru. Bookmark the permalink.